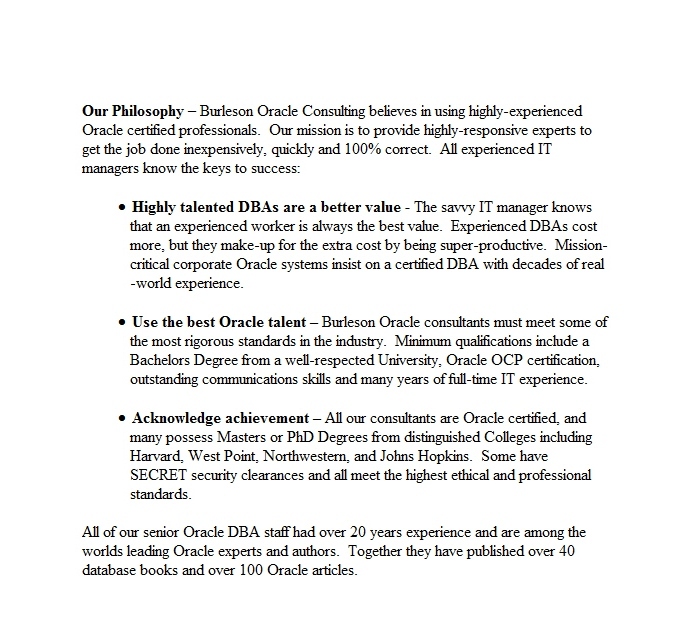 We have provided Oracle consultant services for the greater New York City area for more than a decade. 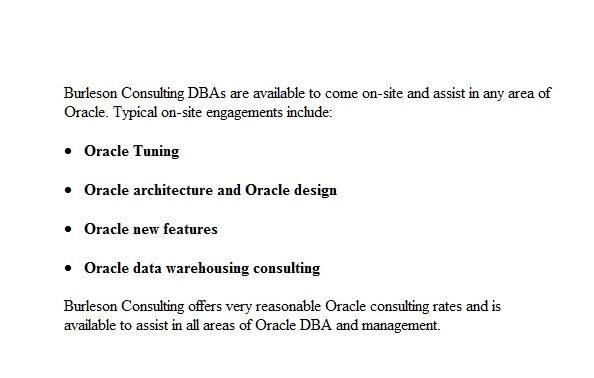 Oracle consultants areas include Manhattan, Northern New Jersey and Long Island New York. We provide Oracle consultants in NYC, Jersey and Oracle contracting for Manhattan and suburbs. All Oracle consultants are Oracle Certified Professionals (OCP) with more than a decade of full-time IT experience. BEI provides world-class Oracle support consultants services. Burleson consultants are Oracle Certified experts offering Oracle contractor support with experienced Oracle consultants as well as Oracle contractor services at affordable prices for New York City and Oracle contracting for New York, North New Jersey, Long Island and all surrounding areas.